Diplomatic tensions between Korea and Japan over historical issues and territory flared yet again this summer, being by far the most serious row between the two countries since the mid-2000s. With both sides focused far more on proving each others’ misdeeds than on finding a solution to the issue, the disputes threaten to spill over and potentially affect economic relations between the two countries, as well as distract the respective leaderships from focusing on a number of pressing domestic and foreign issues. While Korean President Lee Myung-bak came into office four years ago pledging not to confront Tokyo over historical issues, these issues remain dormant and always a potential problem for Korea-Japan relations. Indeed, Lee is the third consecutive Korean president to have a “false start” with Japan: both Kim Dae-jung and Roh Moo-hyun pledged to look to the future with Japan, only to be limited by the past. Much of the controversy over Dokdo has been about whether Korea or Japan had historical ownership of the islands or whether Korea or Japan first provoked the current dispute. However, those issues are not really important, because there are two clear facts in the case: Korea controls the islands, and both Korea and Japan claim the islands. That is, there is no doubt in my mind that Dokdo is Korean, and there is no need to engage in any type of debate with Japan over the islands. Dokdo is Korean, and it is controlled by Korea, so there is no ambiguity at all. However, the dispute rages on, and Koreans and Japanese are increasingly taking actions that may have ramifications for economic, social, and military relations between the two countries. Because Korea and Japan show no signs of resolving the dispute anytime soon, it might be important to ask what ramifications it will have on wider regional relations, particularly with America and China. The United States has tried to remain neutral in East Asian territorial disputes, despite the fact that the United States wrote the 1951 San Francisco Treaty that left many of these territorial disputes unresolved. Furthermore, it is easier for Japan to ignore their history under a U.S. treaty alliance that allows the Japanese to see their history as both “already resolved” and essentially simply a different viewpoint than the Koreans. After all, if the U.S. is neutral, that must mean that Japanese views of history are just as valid as Korean views of history. This is a mistake for American leaders. Ignoring issues that both Koreans and Japanese see as important will not those issues disappear. If anything, the events of the past few years reveal that ignoring the questions of territory and history only makes them more difficult to solve. Furthermore, U.S. leadership in East Asia does not mean trying to force its closest allies to ignore their own priorities and simply concentrate on American priorities ― that will be a losing strategy. Rather, American leadership needs to be exercised in a manner that helps the three potential allies to work through their disputes, and this will involve admission by the U.S. that the U.S. is not a neutral “referee,” but rather deeply involved in the disputes and cannot avoid them. An unfortunate fact that is often missed in analysis of Korea-Japan relations is that there is a perceptible absence of any reliable U.S. mediator to foster detente for Seoul and Tokyo when tensions get high. It is also unclear whether the U.S. can remain “neutral” in the dispute between Korea and Japan, and at the same time, help mend relations so as to bring both states under the trilateral alliance. What is clear, however, is that continued souring of Korea-Japan relations makes the U.S. the equivalent of the shrimp in the fight between whales: Korean and Japanese whales who really care about the issue. At the same time, Korean and Japanese leaders need to be aware that focusing on the Dokdo dispute means that the greatest beneficiary of tensions between Seoul and Tokyo may be China, which can channel the tensions to levy even greater pressure against Japan toward its own territorial dispute over the Diaoyu/Senkaku islands, as well as deter American plans to counter China by forging greater trilateralism in the region between the U.S., Japan, and Korea. When commentators often cite that Korea-Japan relations are not zero-sum, they forget that there are more than two players at stake. In sum, the dispute over Dokdo has a wide regional impact. The U.S. position becomes weaker, given America’s inability to help its two allies resolve the dispute. China’s position is probably strengthened, although it may be strengthened in a manner that makes many Koreans uncomfortable. Dokdo is, and will remain, Korean...but Korea should also think about the larger implications of the issue, as well. 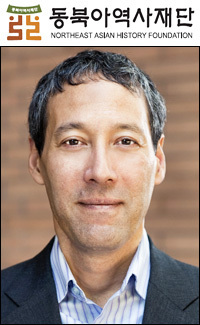 David C. Kang is professor of International Relations and Business, and director of the Korean Studies Institute, at the University of Southern California. His books include "Crony Capitalism: Corruption and Development in South Korea and the Philippines," "Nuclear North Korea" (with Victor Cha), "China Rising: Peace, Power, and Order in East Asia," and "East Asia before the West: Five Centuries of Trade and Tribute."